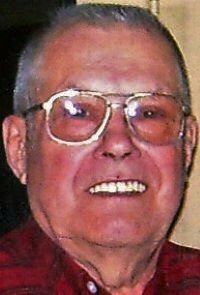 Raymond L. Haag, age 84, formerly of Berry Road, Punxsutawney, PA died Monday, April 15, 2019 at Christ the King Manor in DuBois, PA.
Born on September 6, 1934 in Stump Creek, PA, he was the son of the late Louis & Mary (Henry)Haag. He was a graduate of Sykesville High School, Class of 1952. Ray was a veteran of the United States Army. On June 24, 1967, he married Doris Frederick Haag. She preceded him in death on March 29, 2016. Ray was a skilled carpenter and master woodworker. He was employed by Busy Bee Builders and Rice Construction Company. He also had his own woodshop where he made beautiful handcrafted furniture and goods. He was a member of the Troutville Trinity United Church of Christ. He served the church as a consistory member. He also served on the building committee, helped build the church chancel and served on the board of Troutville Union Cemetery. He was a member of Brady Grange No. 1218. He enjoyed woodworking, gardening, hunting and spending time with his family. Ray is survived by his son, (Jeffrey R. Haag of Newport News, VA) and his daughter, (Colleen R. Russell and her husband, Bradford of DuBois, PA) and three grandsons, (Brendan Haag and Wesley & Jonathan Russell). He was preceded in death by his brother (Harry Haag), sister in law (Dora Haag) and daughter in law (Amy Haag). Visitation will be held Thursday, April 18, 2019 from 4 -7 PM at the Baronick Funeral Home & Crematorium, Inc. and Saturday, April 20, 2019 from 10:00 -10:45 AM at the Troutville Trinity United Church of Christ. A funeral service will be held on Saturday at 11 AM from the church with Pastor Audra Krise officiating. Full military honors will be accorded from the church by the members of the DuBois Area Honor Guard. Burial will be in Troutville Trinity United Church of Christ Cemetery. Memorials may be sent to Troutville Trinity United Church of Christ, P.O. Box 80, Luthersburg, PA 15848 and / or Christ the King Manor, 1100 West Long Avenue, DuBois, PA 15801.